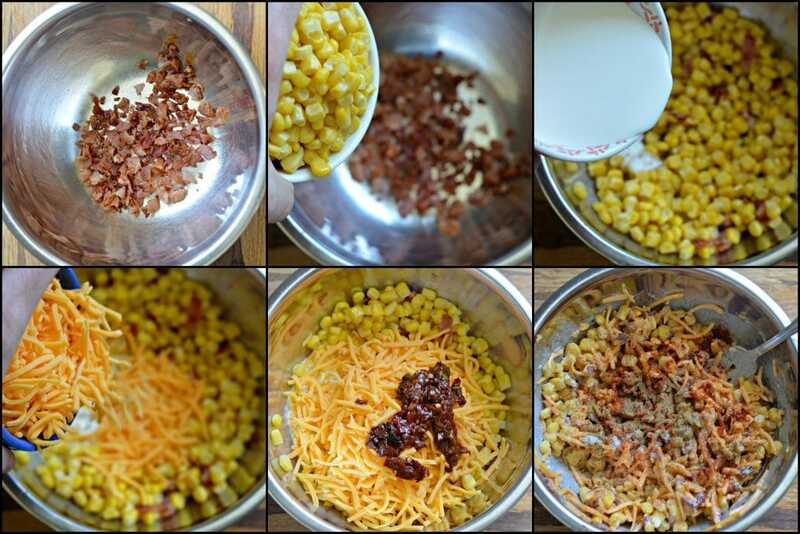 This Bacon, Cheddar, and Chipotle Corn Dip is the perfect option to be served as an appetizer at your next family gathering. It has the perfect combination of flavors to have you and your guests coming back for more! Over the past few years, we have made some good friends in the city where we live. It has been fun to get together and have parties where we can play games and let our kids have fun together as well. One thing that most of these gatherings have in common is that there is a lot of good food! 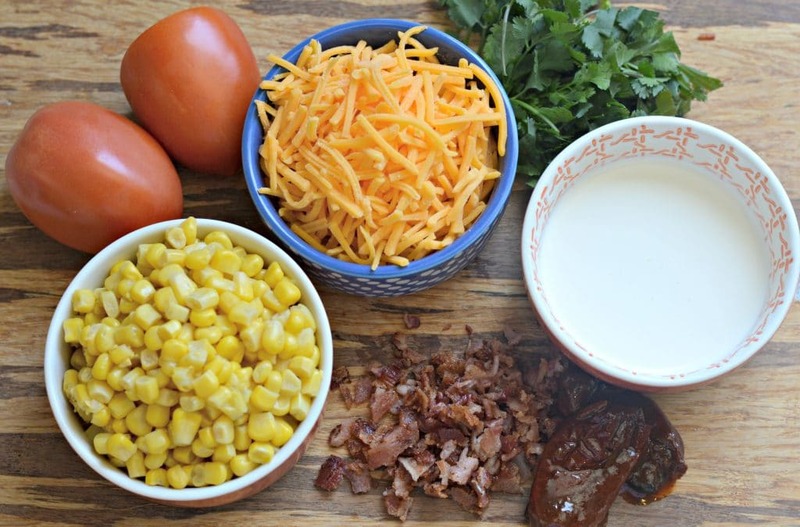 This Bacon, Cheddar, and Chipotle Corn Dip is always our go-to when we are asked to bring an appetizer, and it never lasts long. I can assure you that if you make it, everyone will be asking you for the recipe for months to come. This corn dip has the perfect combination of heat and flavor to satisfy just about any palate. Don’t be afraid of the chipotle – it doesn’t overpower the other flavors, and it gives it just what it needs for people to go back for seconds (and thirds). 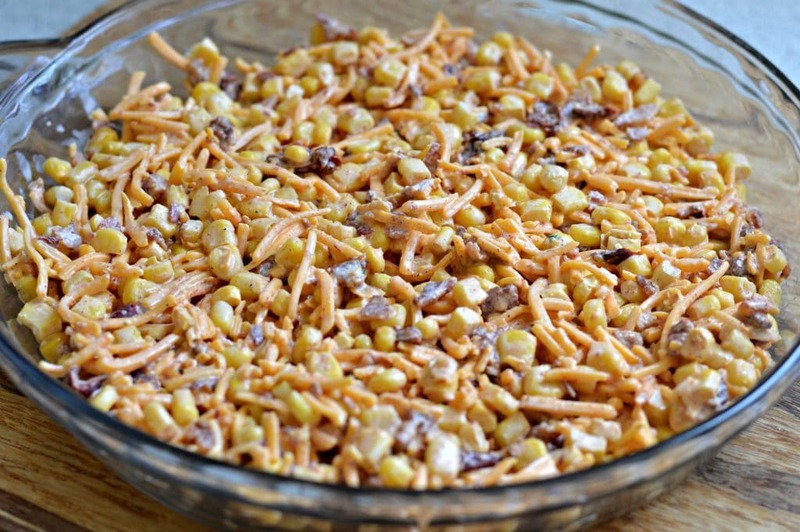 I first made this corn dip a few years ago, and it has made an appearance many times since. The best thing about this is how easy it is to make. You just have to combine the ingredients in a bowl, mix them up, and transfer them to a baking dish before baking. Afterwards, you can add some fresh tomatoes and cilantro as a final touch. 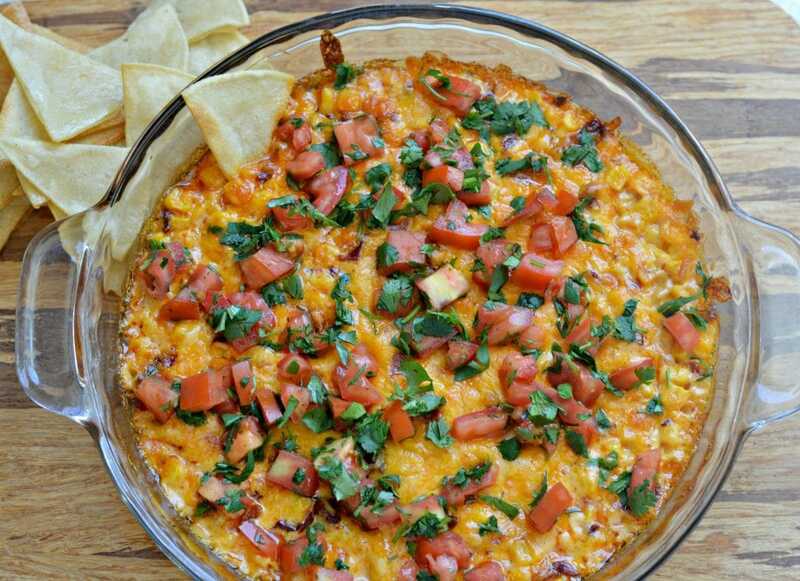 The end result is this delicious, easy, and irresistible corn dip. The last time we took it to a party, people started eating it and it was the first thing gone. For the rest of the night, just about everyone there asked for the recipe. We usually serve this corn dip with homemade or store bought tortilla chips. You really can’t go wrong with this dip, and you can even eat it just with a spoon! There are a lot of recipes for corn dip out there, but this one is one-of-a-kind. The addition of bacon and chipotle puts it over the top for me and I know you will love it. 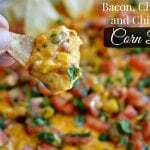 I hope that you enjoy this unique corn dip recipe. Let me know how it turns out for you in the comments below. Check out these other great appetizers. Combined all of the ingredients except for the tomatoes and cilantro in a large bowl and mix well (setting aside 1/4 cup of cheese. Transfer the combination to a round or square baking dish and spread out evenly. Top with remaining cheese and bake for 15-20 minutes (the cheese should be bubbly). Remove from oven and top with tomatoes and cilantro. Serve immediately with tortilla chips (homemade are the best!). This would be a hit at my church’s potlucks. Yum! Great tips – we had a gathering yesterday & made sure to have plenty of trash bags on hand! & this dip looks great! Your dip looks really good. My birthday was yesterday and we had carne asada. So, so good. One of my favorites for sure. I love the addition of chipotle flavor in this. 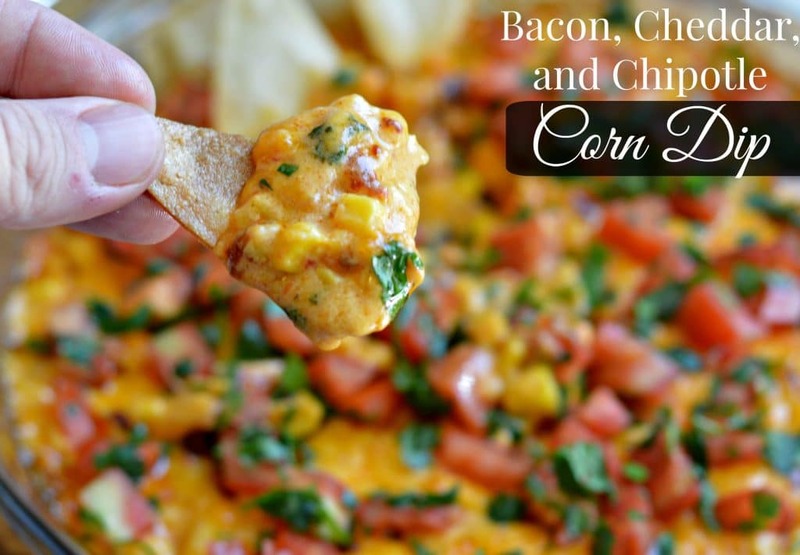 We’ve made a lot of corn dips but I bet that added flavor is great! Love love this new idea for a dip during the summer and BBQing. I love this!! Looks so awesome. Definitely gonna try this for next month’s party. Oh my goodness, this look amazing! I love bacon & corn! SO many great tips! Love the way the dip sounds! !